How do I Get Disability Benefits for Kidney Failure? Kidney failure is a complex and serious health condition that affects every major system in the body. Also known as renal failure, this chronic health issue is characterized by the inability of the kidneys to filter the blood through the body properly. This eventually leads to blood that has increased levels of toxins and chemicals present to circulate throughout the body. While symptoms can vary from person to person, most of the people diagnosed with kidney failure are too fatigued to complete any regular work. If you or a loved one has been diagnosed with renal failure, you may be entitled to social security disability benefits. 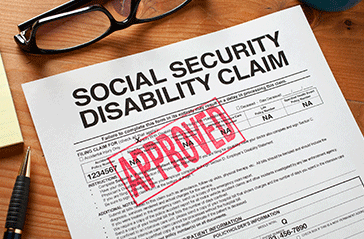 How Can I Get Disability Benefits for Kidney Failure? If you have been diagnosed with renal failure that requires dialysis or a kidney transplant, the Social Security Administration (SSA) recognizes your condition with a special listing that typically makes applying for benefits a fairly straightforward process. In the SSA “Blue Book” kidney or renal failure is listed under section 6 of the disability impairment guide. This section details all kidney function conditions that are recognized by the Disability Determination Services or DDS. Most people who are experiencing this condition will fit into one or more categories defined in this section of the “Blue Book.” However, to qualify for disability benefits, you must still provide a detailed medical and treatment history. Navigating the disability claims system can be confusing, even when you have been diagnosed with a recognized condition like renal failure. If you need help understanding the SSA evaluation process or you are interested in additional guidance as you begin the appeals process, working with an experienced disability lawyer is a great option. Call 877.978.3136 or contact the team at London Disability today for more information.